On 29 January 2019, 22 apprentices and their instructors boarded a large bus to begin their two-day visit to ept’s affiliate plants in the Czech Republic. €2000 – that was one of three donations from ept’s latest Christmas raffle. ept apprentices Lea Metty, Maximilian Lory, Anna Eder, Thomas Huber, Lea Holzmann, Isabell Weber, Magdalena Wölfl, and Magdalena Götz organized the Christmas raffle to collect donations for a good cause. The apprentices chose St. Nikolaus Children’s Hospice in Bad Grönenbach in the German district of Unterallgäu, among other candidates, as a recipient of the donation. 38 young men and women began their training at ept on 3 September 2018, making this class the largest in ept’s history. During their summer holidays, 27 children of the Peitinger holiday program, visit our headquarter in Peiting. They got to know the turning, grinding, milling and laser stations and built their own memorabilia. Die ept GmbH ist erneut unter den Preisträger der Bayerns Best 50. Am 23. Juli 2018 überreichte der Bayerische Wirtschaftsminister Franz Josef Pschierer die Auszeichnung an Geschäftsführer Thomas Guglhör und seinen Bruder, Vertriebsleiter Claus Guglhör in den Hallen des Neuen Schloss Schleißheims. On Thursday, July 19, 2018, our ept graduates celebrated their successful graduation together with HR Manager Joachim Ruber as well as trainer Konrad Socher and trainer Heide Ramminger at a dinner in the Gasthof zur alten Tenne in Prem. On July 13th 2018, ept held its annual summer party at the Peiting headquarters. The theme: Construction Site Party: ept expands! Neon yellow safety vests and enough food to satisfy any construction worker were provided accordingly. 36 apprentices start their new careers at ept! On Track for the Future. 36 apprentices start their new careers at ept!Fresh out of school and straight to work: 36 young women and men are finally beginning the next chapter of their lives with an apprenticeship at ept. It all started on 1 September 2017. The new apprentices attended their first event together, where they were greeted by their instructors and HR Manager Joachim Ruber. After a tasty snack and a first, nervous round of introductions, the apprentices quickly got down to brass tacks. The new group was presented with all of the important information about their programs, including ept’s expectations and general information about the start of their training. They were then passed on to their individual instructors who finally introduced them to their departments and future colleagues. On 24 June 2017, ept GmbH in Peiting invited visitors to attend Apprenticeship Day from 8:30 a.m. to 1:30 p.m. At this event, which centered around the theme of ‘Apprenticeships at ept,’ students and parents learned about careers in eight different vocations offered by the facilities in Peiting and Buching. Each vocation was presented at one of eight stations and described in detail by ept’s own apprentices. 13 apprentices celebrate the successful completion of their trainingYet another reason to celebrate: The spring examinations are over and the scores are in: All 13 apprentices have successfully completed their apprenticeship training. Ten toolmakers, one mechatronic technician, and two dual study students celebrated the successful completion of their training. Some of them even performed above and beyond: Thomas Eirenschmalz, a mechatronic technician, achieved a vocational school grade point average of 1.4, and dual study student Carina Kelz received a CCI grade point average of 1 – both excellent marks. 24 apprentices start their future careers at eptSix weeks ago, these 24 young women and men were still in school. Today, they are beginning a new chapter of their lives as apprentices at ept. Their apprenticeship began on 1 September 2016, when they met up for the first time at an event held by their instructors and HR Manager Joachim Ruber. Following a round of introductions and a tasty snack, the new apprentices were presented with all of the important information about their program, including ept’s expectations and general information about the start of their training. The apprentices were then passed on to their individual instructors who introduced them to their departments and future colleagues. Working on vacation? Only If It’s This Much Fun! Working on vacation? Only If It’s This Much Fun!The AWO vacation visited ept GmbHNineteen children from the vacation program in Peiting spent an entire morning enjoying fun and adventure at ept. 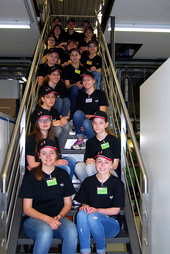 Decked out in ept shirts and caps, girls and boys between 10 and 14 watched the manufacturing process in amazement, as all of the individual components of a connector were produced and assembled into finished systems in a fully automated assembly process. ept apprentices celebrate the completion of their apprenticeships: Three graduates with ‘excellent’ grade point averagesThe results of this summer’s apprenticeships at ept are clear to see. A total of ten apprentices successfully completed their training, and seven of them completed their tests early. Three of the apprentices received ‘excellent’ grade points averages on their CCI diplomas. That is certainly reason enough to celebrate! For four days, technology took the place of the more traditional subjects for students at Schongau Middle School, who were offered the opportunity to visit the training center of ept GmbH in Peiting. Together with their teacher Mr. Haslinger, the 15 students in the 8th and 9th grades explored technical vocations at ept up close. Women and technology – clever idea! Girls’ Day 2016 at eptIt is almost a tradition by now: For the past few years, ept has invited female students to participate in Girls’ Day to explore technical vocations first-hand. Girls’ Day 2016 was yet another major success. On 28 April, 17 girls from the region visited our operation in Peiting to explore different technical vocations and learn about the responsibilities of toolmakers, mechatronic technicians, IT specialists, and technical product designers up close and in person. District President Hillenbrand Visits ept GmbHFor ‘Bavarian Apprenticeship Day 2016,’ District President Christoph Hillenbrand visited medium-sized connector manufacturer ept GmbH in Peiting. ‘Apprenticeship Day’ is an annual event held by the Bavarian state government. District government officials use this day to visit local businesses and learn about current apprenticeship offerings in person. Officials select companies that make special contributions in the area of apprentice training. At this year’s graduation ceremony for apprentices of the Chamber of Commerce and Industry (CCI), ept graduates celebrated the successful completion of their vocational training. Two of the participants were presented with a special award for academic excellence. 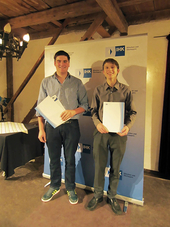 Roman Neuner completed his apprenticeship with a grade point average of 1.3 and Marco Rohrseitz achieved a grade point average of 1.4, both excellent marks in the German academic system. At ept GmbH in Peiting and Buching, 33 apprentices are about to launch into an exciting new phase with a wealth of responsibilities and challenges. These school graduates will take the first steps toward their future careers with apprenticeships in seven different disciplines, such as toolmaker, industrial mechanic, industrial management assistant, or technical product designer. 10 Apprentices Celebrate a Successful Start to Their CareersGood grades, a successful end to their apprenticeships including a permanent job offer at ept, and national awards from their vocational school: The apprentices at ept GmbH have plenty of reason to celebrate!The group of ten graduates consists of two industrial management assistants, one mechatronic technician, one storage logistics specialist, one machine and systems operator, one technical product designer, and four toolmakers. 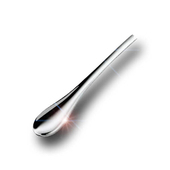 Chrome car parts, shiny faucets, the smallest electronic components ? few people realize that the signature of a galvanizer or a surface coater, as the job is now being called, can be found everywhere. Galvanizers enhance metallic and synthetic surfaces with the aid of electroplating and other surface technologies in order to endow them with certain properties, such as corrosion resistance, hardness, or electrical conductivity. So in addition to making surfaces shine, they also determine important characteristics, for example, the scratch resistance of chrome plating. Eight apprentices celebrate a successful start to their careers. A special occasion brought together eight apprentices, three instructors, and HR Manager Joachim Ruber at a restaurant in Peiting on 24 February 2015: Seven toolmakers and one mechatronic technician all successfully completed three and a half years of training at ept.After a good meal, the apprentices were all particularly pleased to learn that the path they had chosen led not only to a training certificate, but also to bonuses for good grades.